It is always a significant concern when doctors start discussing injuries to the spinal cord. The spinal cord contains nerves that power the motor and sensory function of the entire body, meaning that injuries to the cord can have permanent impacts on the health of patients. When a child sustains damage to the spinal cord, this is of even greater concern for all parties involved. A spinal cord avulsion is a type of severe injury that can occur in the back of a patient. The spinal cord is made up of numerous different nerves that exit through orifices in the vertebrae of the back. These nerves travel throughout the body, powering the movements of the limbs, the sensory processes of the skin, and even the digestive tract in the abdomen. If one of these nerves is damaged, these functions are lost. Many times, these functions are lost permanently. This traumatic injury represents an uncompromising quality of life issue for patients and their loved ones. In a spinal cord avulsion, the nerve is torn away from its attachment in the root at the vertebra. This represents a tear of the nerve and, typically, results in a loss of that function. There are many different ways that this injury can occur and it must be diagnosed appropriately to initiate the proper treatment protocol and provide the correct prognosis. Most spinal cord avulsions are diagnosed using an imaging procedure, such as an MRI. An MRI takes longer to perform than most imaging studies. However, it does not require any radiation and, therefore, has a significant benefit over its x-ray and CT scan counterparts. This is especially important in children, who have many years of life left and should not be irradiated unnecessarily. On an MRI scan, the nerves, muscles, ligaments, and tendons can be visualized clearly. This allows the diagnosis of an avulsed nerve to be made accurately. Sometimes, spinal cord injuries can develop without having any imaging abnormalities at all. 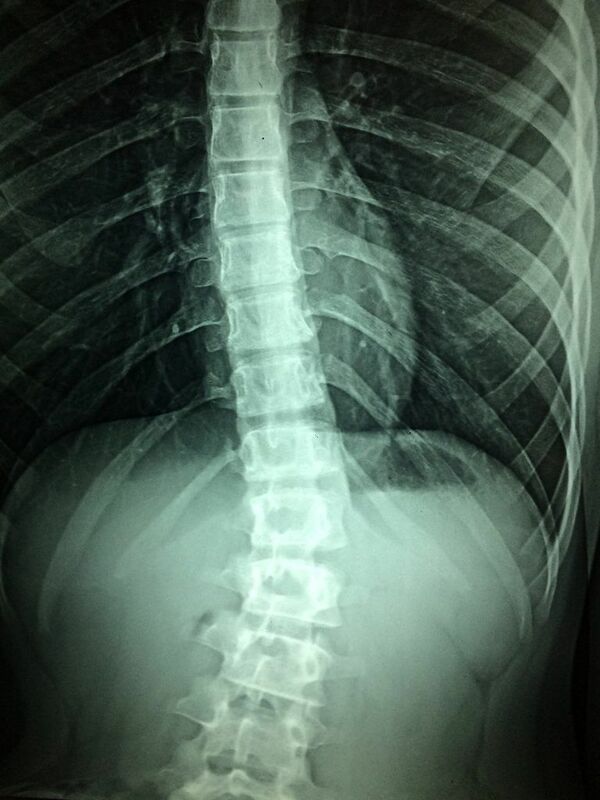 This is termed a spinal cord injury without radiographic abnormality. These are infrequent injuries without much research performed in the literature. Watch YouTube Video: What is a Spinal Cord Injury? This animated video from the Neil Sachse Foundation explains a spinal cord injury. A recent research paper published two different case reports of children having spinal cord injuries without any abnormalities on imaging. In this case, both patients had sustained spinal cord avulsion injuries in an auto accident. However, neither of them were picked up on imaging because there weren’t any findings on the scans. In both situations, the patients were not wearing seatbelts. Even though this is a small sample size, it is significant to note that lack of seatbelt use was associated with both spinal cord injuries and with spinal cord avulsions that were not located on diagnostic testing. These results are significant because if the spinal cord injury cannot be picked up on imaging, it is possible to miss the diagnosis entirely. This means that the patients could be delayed in the diagnosis and delayed in starting any treatment for the injury. If the procedure is delayed, the outcome could be worse. This significance raises a couple of questions. First, why aren’t the injuries visible on an imaging modality? Are the injuries different somehow? This also highlights the need for improvement in imaging modalities so that these injuries can be appropriately diagnosed. It is also important to note that the patients were not wearing seatbelts when they sustained their injuries. This means that the injuries might have been prevented if the children were wearing seatbelts at the time of the accident. Parents should make sure that their children are taking the proper safety precautions when riding in a motor vehicle. They should follow the recommendations of their pediatrician and leave kids in car seats or booster seats until the right age and then transfer them to regular seating when appropriate. Finally, everyone should wear a seatbelt while in the car because it reduces the chance of bone fractures, traumatic brain injuries, and other medical problems. This study was an essential first step in looking at the possible causes of spinal cord avulsion without any abnormalities noted on imaging. Future studies should seek to find out why these injuries are not showing up on imagery and whether or not other imaging studies would be appropriate for diagnosing the injury. Studies should also look at whether or not there were similar accidents where patients were wearing their seatbelts and whether or not those patients sustained injuries to their spinal cord. Finally, it would also be helpful to examine why the lack of seatbelt use contributed to these spinal cord avulsions in the first place. I’m Ed Smith, a Sacramento Personal Injury Lawyer. Seatbelts could prevent severe injuries in a car crash. If you've been injured in an accident, call me for free, friendly advice at 916.921.6400 or (800) 404-5400. I am included in the membership of the California section of the Million Dollar Advocates Forum. I encourage everyone to glance over our prior verdicts and settlements. Please feel free to read the helpful reviews from our past clients on Google, Avvo, and Yelp. Image Attribution: From Wikimedia Commons. Image not eligible for copyright because it was used as part of a medical technical procedure.